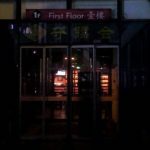 There’s a second First Floor in Sanlitun. The Tongli Studio veteran has been joined by a sibling in Soho, on the B1 level at the south end. It’s cavernous with a pool table, electronic dart boards, a private room, a raised seating area, a long bar and plenty of tables. 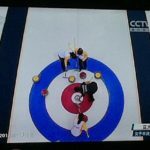 Plus six TVs: all featured an epic curling match between China and Japan last night. 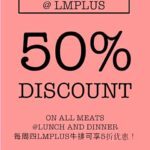 Expect similar pub grub as the first First Floor plus 30 percent off beer: my Chimay Red cost rmb28 after discount. 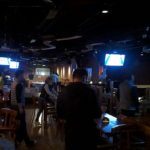 I kind of stopped going to First Floor after founder Jack Zhou left and lean more toward his new place, Groovy Schiller’s in the former Nearby the Tree space, especially given the recently upgraded food menu, but this place is worth a look for the Tongli area drinking crowd. 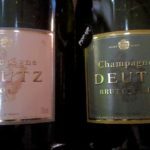 I’ve written about how decor shop Pop-Up Beijing doubles as a most excellent wine shop. 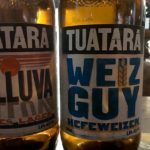 The most recent additions include Champagne Deutz, the first bubbles Pop-Up has carried from that namesake region, and, starting tomorrow, a couple of New Zealand beers from Tuatara, including a lager, to go along with the Arrow Factory and Nine Inch offerings. 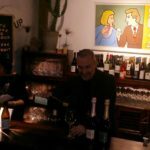 Given an eclectic array of places to sit, the eye candy of the art and home furnishings, and solid service at Pop-Up’s two bars, this is a good place to grab a glass or, even better for value, a bottle or two. 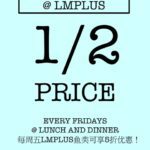 Finally, veteran Italian restaurant LM Plus has started some very nice specials, including this trio of weekday lunch and dinner ones, with half-price pizzas on Mondays, meats on Thursdays and fish dishes on Fridays. Check ’em out! This month is Maovember! Click here for our events and here for how to support our charity partners, Library Project and Bread of Life. 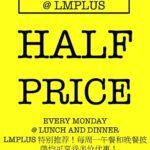 Also check 京B Daily for headlines,food and drink deals, weather updates, and more. And sibling blogs Grape Wall of China and World Baijiu Day.